Camden is our distinctively contemporary spot upholstery and curtain fabric. Each of these gorgeous spotty fabrics can be used two ways - there is a face side and a reverse side, with roughly opposite colourways. Why not order a little more and use the opposite spots or checks for scatter cushions or a throw? 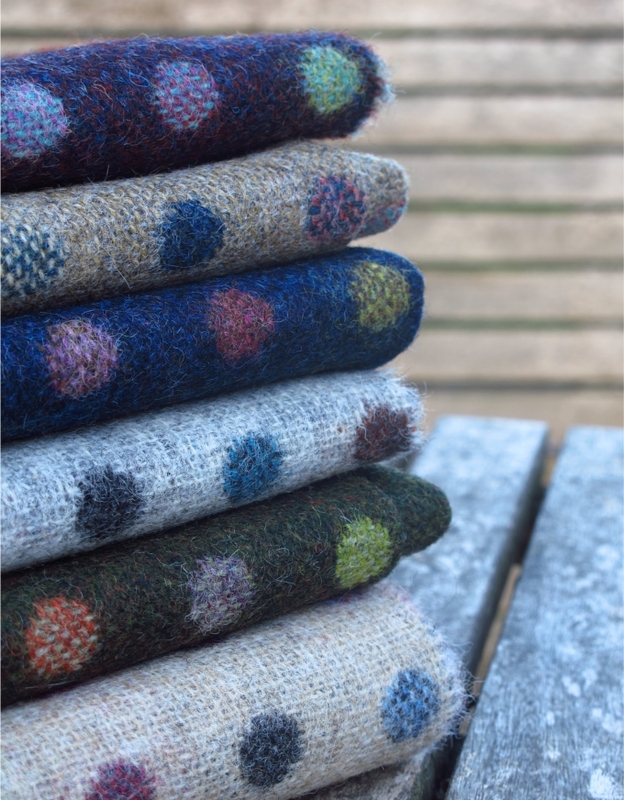 This cloth is British made from 100% wool, and looks and feels absolutely fabulous. Being inherently flame retardant, it is perfect for upholstery and curtains.